I hope this finds you well this hot summer. So far, 2018 has been an exciting year for our TiE New York community and I write to share where we are and what we have cooking. Our focus this year has been on developing consistency and structure, so our members know what to expect. Our “TiE Tuesdays” approach instituted by Sonia Parechanian, our Executive Director, allows our members to plan their lives without checking our calendar or waiting for an email. It also allows us to focus on building our community. 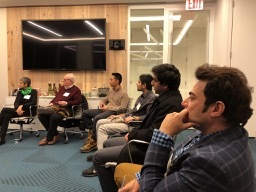 Year-to-date we have hosted 18 events giving our Members the opportunity to get to know each other better, exchange ideas, observe new business models, mentor new founders and be better leaders. Most importantly, we are seeing the fruits of that labor in how our brand is evolving. 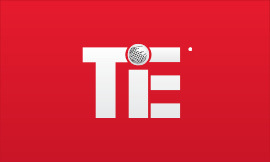 TiE New York is gaining traction on the New York scene – over 1,000 individuals attended our events in the past year. This is most apparent to me when having Charter Member Membership renewal discussions as they have become much easier. Now that we have a foundation in place, it’s time to take our platform to the next level. To that end, ourprimary goal is to double our Charter Member base in the next six months. Charter Members are the backbone of our community and are a critical component in achieving our organization’s mission. By building a larger group we can do much more to expand our grid and ensure that our community is resourceful and sustainable over the long-term. We invite our Charter Members to help us with this reachable goal. If each Charter Member recruits just one to two new Charter Members over the next six months we could easily exceed our goal. A strong candidate is an experienced entrepreneur, industry professional and or investor that is interested in sharing their best practices, connections, experiences or advice. Over the past year we’ve sourced a number of new fantastic Charter Members from our rich pool of qualified Members. Megha Bhouraskar – the mastermind and heavy lifter behind TiE’s first Women’s Month last June, and co-chair of the Mentorship committee. Craig Abbott – tireless co-chair of the Mentorship Committee, most flexible Charter Member in attacking any task necessary to keep our Open Mic running smoothly and basically willing to help us with anything we asked for. Prakash Hosalli – where would our Startup Open Mic Night be without our favorite host – a true entrepreneur that also knows how to keep us honest when we start taking ourselves too seriously. Richa Naujoks – a lifesaver and talented negotiator when we need advice and/or class A midtown Manhattan space. 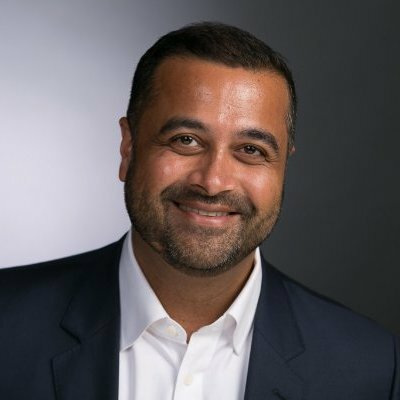 Harjit Singh – our dedicated go-to for reaching out to investors, securing sponsors, lassoing featured speakers, attracting 7,000+ Facebook hits and contributing to the overall success of our chapter. We also have some emerging stars stepping up including Charter Member’s Chand Sooran and Dharti Desai, who envisioned and now lead our 2018 Pitch Competition committee. They’ve constructed an articulate well thought out plan to make sure that you all have ample time and opportunity to plan for and get involved in this big splash November 5th event. In addition, they have secured new partners for the event including rewards from Google Cloud for Startups and Galvanize. And they have a whole team of Charter Members volunteering their time, energy and contacts to make the Pitch Competition an explosive success. While the Pitch Competition wheels are kicking into high gear, we will continue to host Startup Open Mic Nights, Charter Member dinners and launch a reformatted Mentorship Program this Fall. We also have a Yankee/Red Sox game in the works for September! Before I sign off you’ll want to mark your calendar for our September 11 Startup Open Mic Night. Our featured speaker, Murat Aktihanoglu, co-founder and managing partner of ERA, will share his experiences as a venture capitalist as well as from starting up multiple tech companies – particularly those using location-based service technology. For those of you starting up a company, Murat can also answer questions regarding his company’s accelerator program. And of course you’ll want to get started on your Pitch Competition application to meet our September 14 deadline. We are excited to see that our community is bonding and growing. We look forward to your continued participation and support in TiE’s mission to foster entrepreneurship and values-based relationships. I have included my email address as I encourage you to send me your thoughts and recommendations. Are there any things you wish we were doing that we are not? I also ask that you help us build our brand and excitement about our events by sharing our invitations with your friends and following us on social media @TiENewYork. Stay tuned… more fun lies ahead!